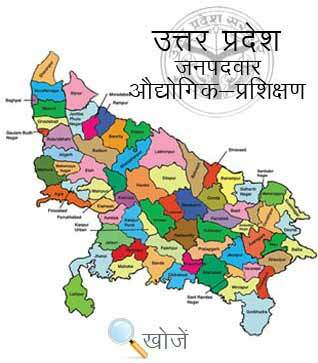 Unnao is one of the famous Industrial cities of Uttar Pradesh, India. It’s a part of Lucknow division. With an average literacy rate of the city is 66.37%. Technical Education is an essential part in today’s scenario. And to understand the need and demand of technically skilled people the city boats some degree as well as technical education colleges. Dayanand Subhash National co-ed Degree College is the oldest and largest college in the city. Government Degree College, Maha Pran Nirala Degree College etc are some of the prominent colleges of the city. Technical education is an important part of the modern studies that’ why state government has opened 3 Govt. ITI’s and 3 Private ITI’s in the city. ITI’s or Industrial Training Centers provide technical and non-technical education to the students with over 130 specialties. They give students NTC (National Trade Certificate) also. Vyavasayik Pareeksha Parishad (www.vppup.in), Uttar Pradesh is responsible for conducting the entrance examination for admission in state ITI’s to enroll in different courses. Trainees get paid during the training. 8th to 10th passed students can apply for these 6 months, 1 year, 2 years duration courses. Minimum age limit to get admission to the various Industrial Training Institutes is 14 years. For more information students can visit www.upiti.in from where they can directly download the application form, check out their result, notification dates, admit cards etc.